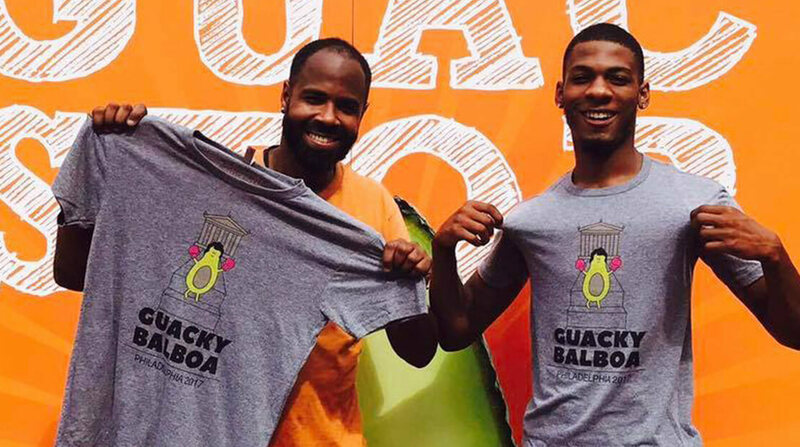 The makers of the WHOLLY GUACAMOLE® brand announced today that the nation’s first-ever guacamole-themed lounge, officially known as The Guac Stop, will be coming to Philadelphia July 12 – July 16 at Penn’s Landing. With 79 percent of U.S. households consuming guacamole*, The Guac Stop will make avo-loving dreams come true, spreading guacamole love as well as the WHOLLY GUACAMOLE® brand’s mentality – Live Wholly™. To showcase the versatility of WHOLLY GUACAMOLE® foods, The Guac Stop will feature a customizable guacamole bar including all the fixings to create a limited-edition Philadelphia inspired guacamole. Visitors will also have the chance to sample a variety of WHOLLY GUACAMOLE® products, including newer innovations, like Layered Dips, and enjoy a hands-on experience that celebrates real food made with simple ingredients. While guacamole is the main attraction, it’s certainly not the only thing on the menu. In addition to customizing personal guac creations, people will be invited to participate in a series of ongoing “happenings” ranging from iPhone photography classes, to live music, giveaways and more. These daily “happenings” will spotlight five key WHOLLY GUACAMOLE® brand values of Well Being, Connections, Real Food, Personal Style and Feeling Good. All events (including the guacamole tastings) are free and open to the public, but space is limited, according to Pusiri. To learn more about WHOLLY GUACAMOLE® products or The Guac Stop, visit www.eatwholly.com/guac-stop. The WHOLLY GUACAMOLE® Brand is a brand of MegaMex Foods, one of the largest manufacturers of pre-prepared Mexican food across the country. A global leader in food safety, quality and innovation, the WHOLLY GUACAMOLE® Brand uses High Pressure Processing (HPP) to create Wholly® products. In addition, each product is made with hand-scooped Hass avocados and is gluten free and kosher certified. All WHOLLY GUACAMOLE® products are available nationwide in the produce or deli section of grocery stores. For more information, visit www.eatwholly.com/guac-stop.